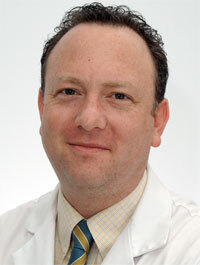 Associate Professor of Neurology Bradley Jacobs will serve as director of the new Neurology Residency Program. The Accreditation Council for Graduate Medical Education (ACGME) has approved a new residency program in neurology at the Wright State University Boonshoft School of Medicine. The ACGME is a private, nonprofit council that evaluates and accredits residency programs in the United States. The Neurology Residency Program at Wright State University Boonshoft School of Medicine will help expand the number of neurologists in the Dayton region by training the future leaders in neurology patient care, research and education. The new program, which will begin on July 1, was approved to accept up to 16 residents. The mission of the Neurology Residency Program is to establish a foundation for lifelong learning in neurology and the neurosciences. The residents will evaluate and manage patients at Miami Valley Hospital, The Clinical Neuroscience Institute located at Miami Valley Hospital, Dayton Veterans Affairs Medical Center and Dayton Children’s Medical Center. The Wright State Department of Neurology is closely aligned with other programs within the medical school, including neurosurgery, physical medicine and rehabilitation and psychiatry. Areas of specialization in the neuroscience program include behavioral neurology, cerebrovascular disease, child neurology, clinical neurophysiology, critical care, epilepsy, movement disorders, neuroimaging, neuroimmunology, neuromuscular disease, neuro-oncology, neuro-ophthalmology, pain management, psychiatry and sleep disorders. The Boonshoft School of Medicine’s Department of Neurology and the new Neurology Residency Program were made possible by the creation of the Wright State University and Premier Health Neuroscience Institute, a joint venture between Premier Health and Wright State. The Neuroscience Institute has talented, NIH-funded neuroscientists on the Wright State campus, including a team awarded two prestigious Program Project Grants totaling more than $9 million from the National Institute of Neurological Disorders and Stroke. Several of these scientists are included on the core faculty of the Neurology Residency Program. Faculty from the Neuroscience Institute will help provide basic neuroscience education and research opportunities for the residents.